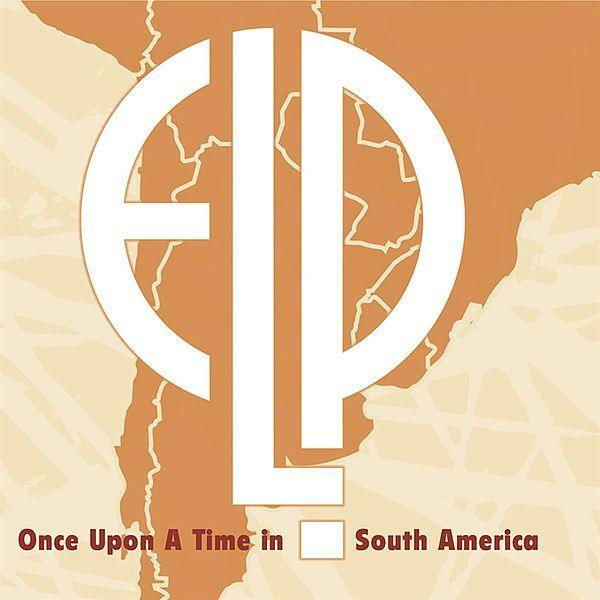 During ELP’s heyday they never made it to South America, though they had a relatively huge fan base there. 23 years after forming and well past their prime, ELP made their first tour to South America in 1993 and then returned again in 1997. This 4CD set includes two full two-hour concerts from 1993 (Santiago, Chile on April 1, 1993 and Buenos Aires, Argentina on April 5, 1993) plus 45 minutes from a concert in Rio de Janeiro on August 15, 1997. The set lists for the April 1 and 5 concerts are nearly the same and feature hits from their early days, plus a couple of songs from their 1993 album Black Moon. The sound quality of the Santiago, Chile concert is very good, but their performance is lackluster. Four days later in Buenos Aires, ELP must have tapped into their fans’ energy and gave a superior concert, but the sound quality is very tinny and that detracts from the listening experience. Four years later in Brazil the sound quality is excellent, but now ELP were off their game, rearranging and reorchestrating their music, thereby changing the mood and experience. The 1993 concerts began with “Tarkus” and “Knife Edge,” followed by two new songs, “Paper Blood” and “Black Moon.” Then two solo songs played by Keith Emerson, followed by two solo songs sung by Greg Lake and then the full band playing “Lucky Man.” Then they launched into “Honky Tonk Train Blues,” “Touch and Go,” “Pirates,” ”Hoedown,” and “Pictures at an Exhibition.” The concerts ended with the encore medley of “Fanfare for the Common Man / America / Rondo.” I don’t know their 1993 touring schedule for South America, but I suspect, given the stiff performance on April 1, that this might have been the first date on the tour. Lake can no longer hit the high notes. His voice is hoarse and strained. “Knife Edge” is a lethargic uninspired reading of this song by the band. But the audience did not care. They went wild with each song. And when ELP got to “Lucky Man,” the entire crowd sang along. The Emerson solo pieces are over the top and exhausting to listen to, too many notes. It’s like Emerson was trying to see how many piano notes he could play in a second while remaining melodic. Instead, he was just showing off. “Honky Tonk Train Blues” was a much better song to demonstrate Emerson’s keyboard chops. “Pictures at an Exhibition” lasted about 23 minutes on both dates, both featuring drum solos lasting about 10 minutes. Palmer was lurking in the background for most of the concerts and this was his only opportunity to show his skills. But these two solos were fairly odd and seemed to lose focus in the middle. For the 1997 concert in Brazil, ELP added “Karn Evil 9 1st Impression” to the set list. And the album mistakenly names the continuation of “Tarkus” as “Pictures at an Exhibition,” when in fact “Tarkus” eventually morphs into the final section of “Pictures.” And for some reason ELP decided to play a 1:45 cover of “21st Century Schizoid Man” with Emerson playing Fripp’s guitar parts on keyboards that just does not work. And the disc closes with a 1:19 version of Emerson’s “America” that has lost its shine after 30 years. Despite these faults, their South American fans gobbled the music up as fast as ELP could play, and the chanting crowd would sound like a soccer match. The nearly five hours of music across these four CDs is quite an undertaking to sit through from beginning to end. It works much better in small doses, especially since some of the songs appear three times. And this may be one of those instances where you had to have been present to truly appreciate the performances. In a nutshell, these South American concerts are a must have for the ardent ELP fan.